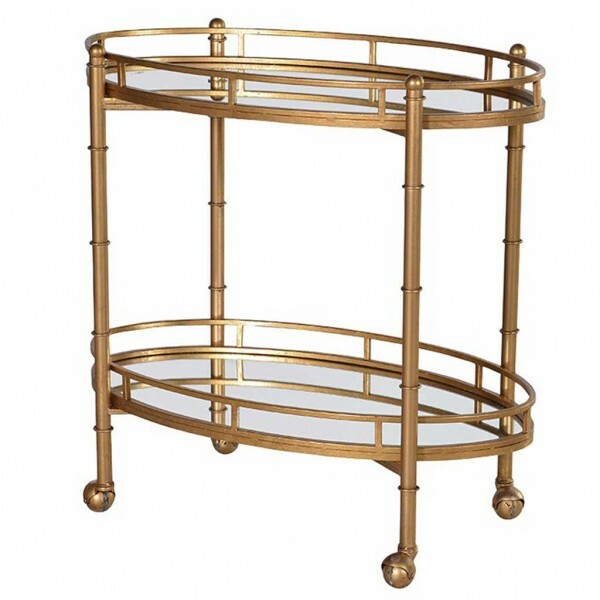 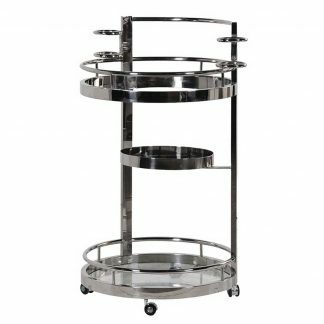 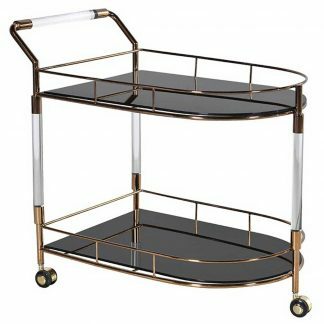 This wonderful 2 tiered oval polished brass bar and serving cart /trolley is siple and elegant. 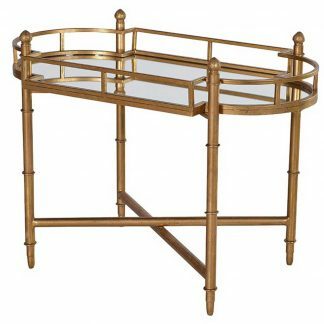 It has two glass shelves and brass knobs to push. 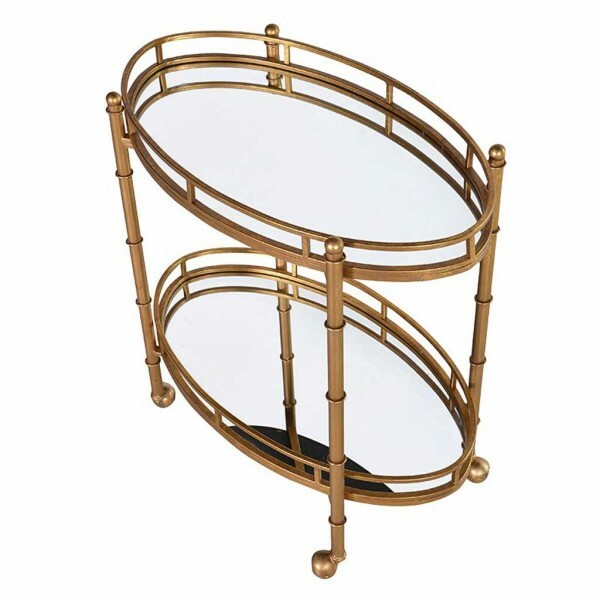 The wheels and frame are gold effect brass which enhances its quality.